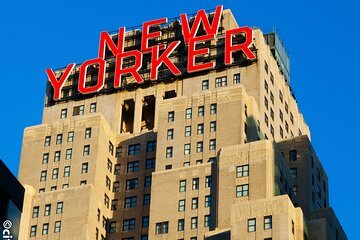 Se New York Citys landemærker gennem din kameralins med en 2,5- til 3-timers vandretur med en professionel fotograf og guide. Spor en afslappet 2-mile rute gennem Manhattan med en lille gruppe kamera-elskere, og fange uforglemmelige billeder af Empire State Building, Grand Central Station og Chrysler Building. Forbedre dine billeder med tips om komposition og indstillinger i nogle af byens mest ikoniske scener, hvor travle gader, skyhøje arkitekturer og en rig byhistorie kommer i perfekt fokus. I am a casual home photographer and took this tour for fun and to get to know my camera better. Our guide, Gildo, was good natured, shared his expertise and quickly built a rapport with his visitors. He give us a new perspective on photography as well as the beauty of the city. He answered questions and at each opportunity, demonstrated his technique on how the capture that right photo. My daughter and I did this trip on 11/12/16 as my daughter is taking photography as a subject at college and wanted to make the most of our trip to New York. Our guide Mike showed us around the Landmarks in Midtown advising us how to get off the automatic settings on the camera and use the best manual settings in different conditions. The result was some stunning photos that she has already used in her college work. Whilst doing this Mike also regaled details of the history of the area. Highly recommend this tour if you want to know how to make the most out of your camera whilst getting to know the city and how to get the best photos of these impressive buildings.